Two Irish Orphans take work at decrepit Windsor house, despite warnings from townspeople about the strange and fearful place. 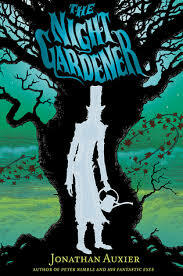 It doesn’t take them long, however, to discover a menacing tree, tended by the ghostly Night Gardener. Visit the author Jonathan Auxier. & be sure to leave your review in the comments below!